Born at Brockville, Ontario on 12 February 1906, son of Fred O. Storey and Nora E. Edwards, he came to Winnipeg in 1919 and, in 1928, graduated from the University of Manitoba with a degree in Electrical Engineering. 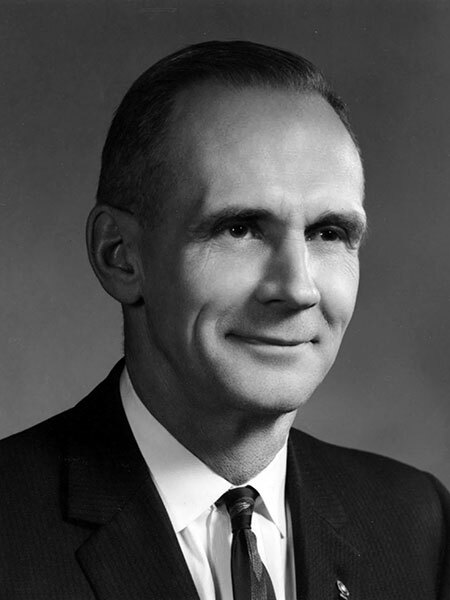 The following year, he joined the engineering staff of the Winnipeg Hydro Electric System, rising to Operating Engineer (1940), Production Superintendent (1944), Chief Engineer (1948), Assistant General Manager (1952), and General Manager (1955-1960). He resigned in 1960 to become Chief Engineer for the Manitoba Hydro Electric Board, being appointed Assistant General Manager and Chief Engineer of Manitoba Hydro in 1961. He retired in 1971. He served as President of the Association of Professional Engineers of Manitoba (1949), Director of the Canadian Nuclear Association, and was at the time of his death Vice-Chairman of the Manitoba Hydro Electric Board. He was a member of the Winnipeg Kiwanis Club, Winnipeg Chamber of Commerce, Industrial Development Board of Greater Winnipeg, Manitoba Branch of the Canadian National Institute for the Blind, Manitoba Club, Winnipeg Winter Club, and Granite Curling Club. He died at the Health Sciences Centre on 23 March 1978. “Storey City Hydro General Manager,” Winnipeg Free Press, 18 February 1955, page 3. Obituary, Winnipeg Free Press, 27 March 1978, page 160.